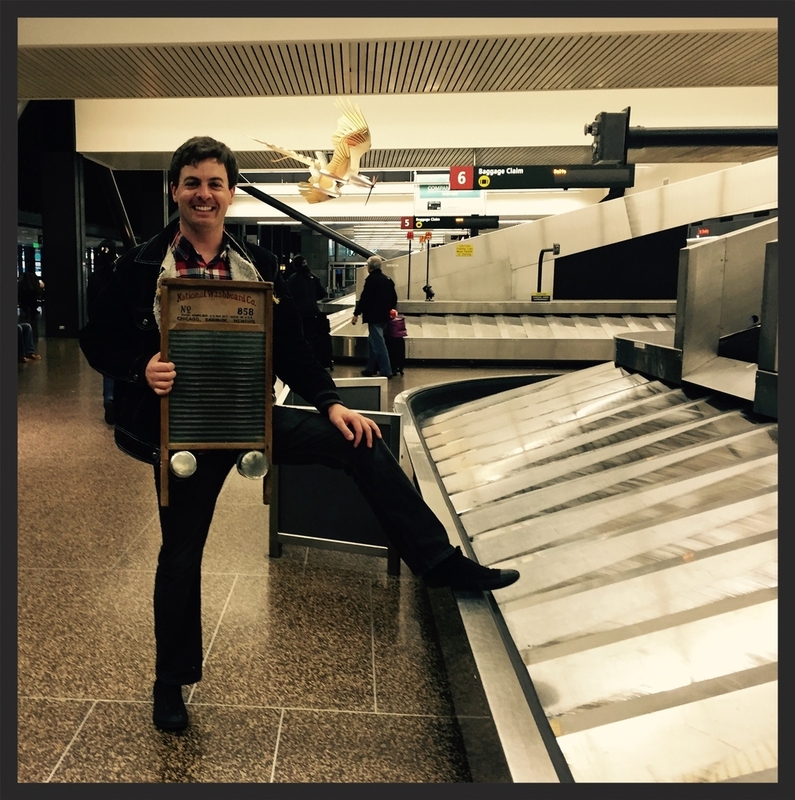 Safely arrived at the airport in Seattle, armed and ready with my washboard. 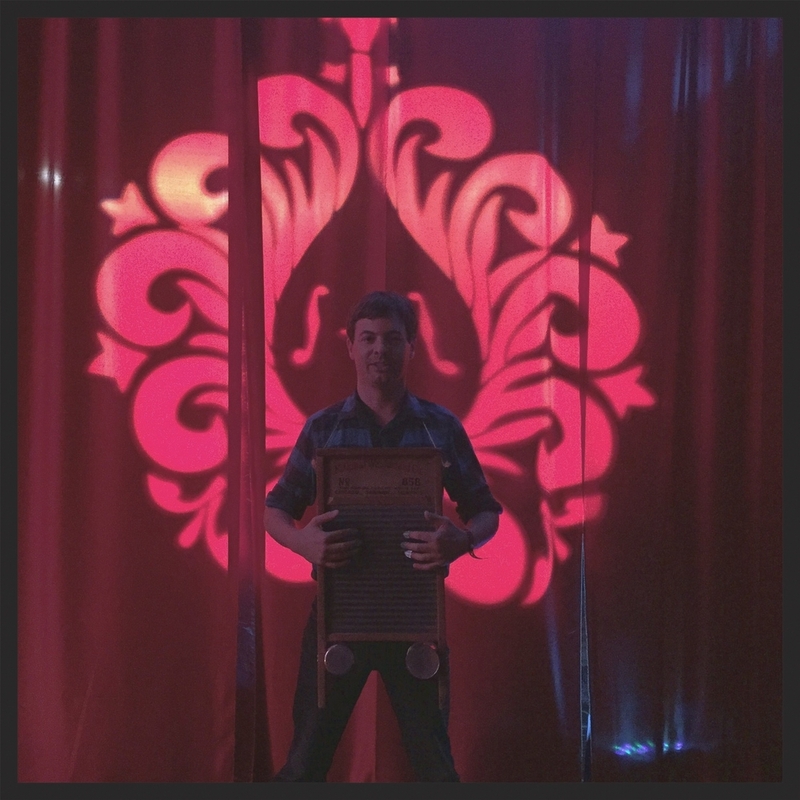 Let's be honest: any weekend that involves heavy doses of washboards, jugs, banjos, and more is bound to be an eventful and enjoyable one. So it should come as no surprise when I write that I had an amazing time playing at Seattle's Wintergrass festival this weekend with G Burns Jug Band. Banjos, mandolins, accordions, guitars, washboards, fiddles and jugs all made the trip from San Diego to Seattle. The band, consisting of Clinton Davis (guitar, tenor banjo, fiddle, mandolin) Batya MacAdam-Somer (fiddle), Meghann Welsh (accordion, tenor banjo), and Jonathan Piper (tuba, jug) arrived in Seattle late Friday morning. We had enough time during the afternoon to settle in and rehearse a couple songs before our 7:30 set in the Cedar Room of the Bellevue Hyatt Regency. And jam we did! 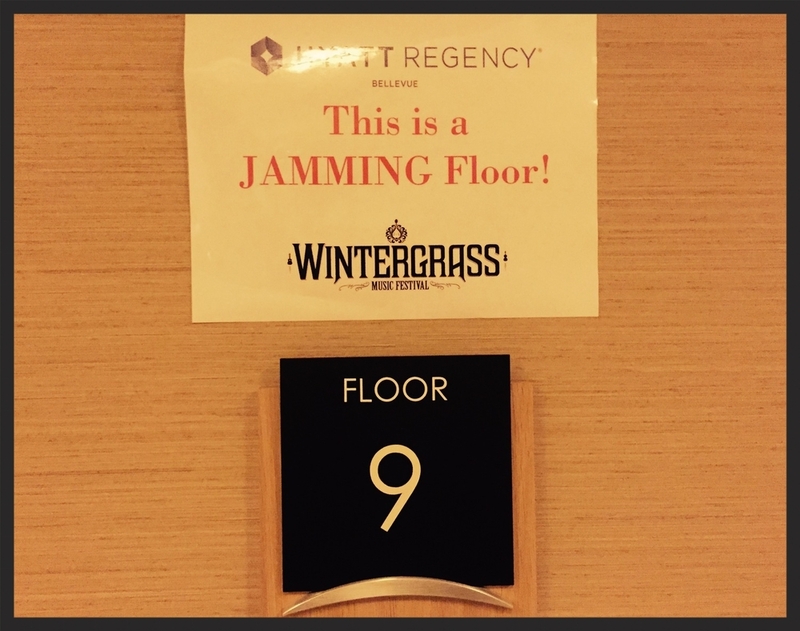 Besides our own rehearsals in my hotel room, we had the pleasure of hearing impromptu performances throughout the hotel all weekend. There's even a "jam elevator"! The set was truly unique and memorable for two reasons: First, the audience itself was remarkable -- without hyperbole, I think this might have been the most enthusiastic, attentive, and appreciative audience I have ever played for in my life. When the set started, somewhere around one third of the 150 or so seats were occupied. 45 minutes later, however, the room was filled to capacity, with stuff reluctantly not allowing more people to come in. Throughout the set, the crowd participated with good-natured banter, enthusiastic applause, encouragement, and at the end -- an instant standing ovation. To say it was a privilege to share our music with these music lovers would be an understatement, and it is absolutely a gig I will never forget. Batya and Clint both interviewed with fiddler and journalist Joe McHugh, who also hosted our live streamed set. The other reason the evening was special was that Concert Window streamed the set live on the Internet. The evening's host, Joe McHugh, received comments and questions from on-line viewers in Pennsylvania, Kentucky, California, North Dakota, Texas, and Tennessee, among other localities. What a wonderful experience to be playing vibrant traditional music in front of not only a first-class live audience, but also an engaged crowd online. Backstage at the Regency Ballroom, moments before our dance set on Saturday night. The second night of the festival was equally fun, and this time the band explored a slightly more raucous approach, since the venue was the Regency Ballroom. We made sure to pack the set with up-tempo numbers, and threw in a couple of waltzes for good measure. The audience consisted of those eager to cut a rug on the dance floor, as well as those of the more stationary persuasion, happily flanking the sides in seats. Again, the room was filled, and the passion we poured into our hour-long set was more than reciprocated by this music-loving audience. The hour flew by, and before I knew it, we were playing our encore. There was consolation, of course, in that there was more music ahead to enjoy, which we did. By the time we'd broken down the merch table and I'd tucked my washboard safety to sleep in my hotel room, it was time for The Dustbowl Revival's set in the Ballroom. I've included video footage here of their fantastic performance, and it was a wonderful way for me to end a packed Saturday of music. And here I sit in the Regency's lobby, coffee in hand on this Sunday morning. I'm thankful to have had such a great time, and slightly sad that it's winding down. One things's for sure though - whether as a performer or audience member, I'll be back next year! Just another one of those washboard/jug hotel photos.